The result of UPSC NDA/NA 2017 is out on its official website. 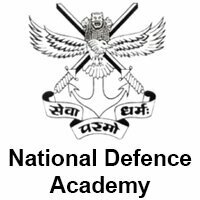 Total 371 candidates are qualified for the National defence Academy and Naval Academy entrance exam. 25 November 2017: The Union Public Service Commission or UPSC has declared the final result of the National Defence Academy (NDA) Exam and Naval Academy (NA) on their official website at www.upsc.gov.in. Total 371 candidates have qualified for the Document Verification. The scorecard of the qualified candidates will be available in the next 15 days. The exam was held by the UPSC on 23rd April, 2017. According to the official notification of the UPSC; "The subsequent interviews held by the Services Selection Board (SSB), of the Ministry of Defence for admission to the Army, Navy and Air Force wings of National Defence Academy for the 139th Course and Naval Academy for the 101st Indian Naval Academy Course (INAC) commencing from January 2, 2018." "A total number of 390 vacancies will be filled after the recruitment procedure. National Defence Academy has 335 (208 for Army, 55 for Navy and 72 for Air Force) seats while Naval Academy will fill 55 posts"; as per the notice.